This morning host Holly Willoughby left in tears after a guest makeover goes horribly wrong. 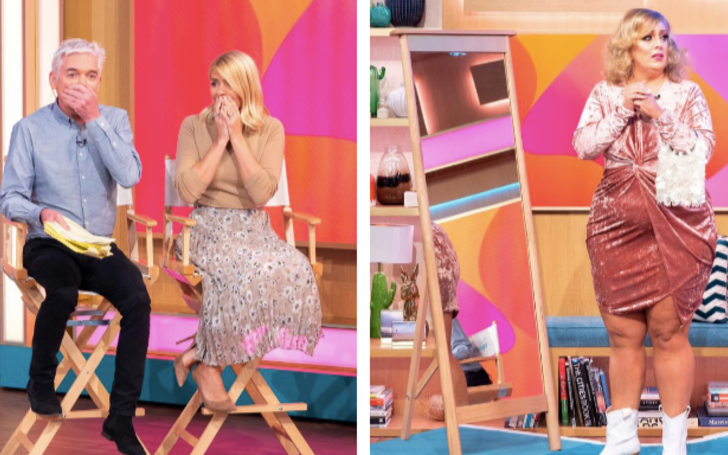 This morning host, Holly Willoughby was left in tears after a guest appeared on This Morning for a make-over, which went horribly wrong from the minute she debuted her new style. Viewer Carol was nominated by her husband to get a visit from the ITV glam squad, who underwent what she thought would be an incredible transformation. However, the transformation was not a bit appealing to her, as a result, she began crying on live TV, asking the presenters if they could ‘stop filming’. Holly immediately tried to re-assure Carol about her appearance, saying it was normal after a big transformation to feel a little bit unsure with it, and if she felt uncomfortable in the outfit she was wearing there was plenty more in the back she could choose from according to her preference. However, Phil hurriedly rushed Carol out and her husband Pete said they were getting late for an all-expenses-paid meal at The Ivy in London, so they needed to immediately get in the car. As Pete and Carol were shown driving away ready for their date, Holly looked positively reeling until the couple met with an accident and the car crashed in front of the live telecast. Affected by the horrific ordeal, Holly began to cry and hinted at the producers the show should ‘probably go to a commercial break’ so that they could check up on the couple who just crashed. Meanwhile, Phillip couldn’t keep the secret and proceeded to inform a distraught Holly the drama ensued was, in fact, an April Fools Day joke. Read more: Sasha Pieterse Was Only 12 When She Filmed The 'Pretty Little Liars' Pilot! Later, Holly was introduced to actors Amy and Leo who played the guests.